El Dorado Hills Town Center’s Live on the Boulevard summer musical celebration will present the Folsom Lake Symphony for the grand finale of the season. About 60 musicians in the symphony will be performing music for dancing or at least toe-tapping as they fill the air with vibrant and rhythmic music. The annual “symphony al fresco” at the Steven Young Amphitheater is appropriately titled “Dancin’ in the Streets” and has a distinct jazz flavor featuring selections from Duke Ellington’s favorites, Barroso’s Brazil, a special treat from jazz legend David Brubeck — “Unsquare Dance,” Bernstein’s “Mambo” and much more. The light-hearted concert is Thursday, Sept. 8 from 6:30-8:30 p.m. What hits an even sweeter note is this concert is free. Peter Jaffe, music director and conductor of the symphony, is enthusiastic about the performance. Besides clapping and snapping, dancing might also be on the program. Jaffe also added four things the audience will find most surprising about the Folsom Lake Symphony. “The excellence of the orchestra, how fun it is, how it makes you smile and a feeling of local pride — the realization that we’ve got this fabulous symphony right here,” the conductor said. Even though the event is a summer tradition, they don’t perform the same repertoire. They like to change things up a bit and offer variety. “We like to vary the program every year, so just about all of our selections haven’t yet been performed in this outdoor series. Some of the numbers will give previews of what’s in store for our coming season, others will be played just for this event,” Jaffe said. Jaffe also believes music is a catalyst for remembering and making memories. The symphony recently began offering a Family Concert, which will be next year on Saturday, March 11, 2017. It will provide a special opportunity for youngsters through oldsters to explore symphonic music in an engaging, upbeat program, replete with an instrument “petting zoo,” where folks can learn more about the instruments up close and try their hand at playing a musical instrument. He revealed that future plans include a richer experience for the community. The symphony is looking forward to playing Dancin’ in the Streets this Thursday. Even though 60 seems like a lot of musicians who will be playing at Live on the Boulevard, during the rest of the year, depending on the repertoire, some of the concerts feature 70 musicians. He exuberated pride and praise for the symphony and the impact it has had on the community. He also extended praise and appreciation to those who helped to make the concert possible at Live on the Boulevard. “We really want to thank Tony Mansour, Kevin Nagle, Natalie Buerki and all the folks at the El Dorado Hills Town Center for making this series come to life and for putting the amazing collection of talent that comprises the Folsom Lake Symphony in the spotlight,” he said. Enjoy a memorable evening toe-tapping or dancing at the scenic Steven Young Amphitheatre, 4364 Town Center Blvd. in El Dorado Hills, with the surroundings of fountains and nature along the waterway. The concert is festival-style seating and guests are invited to bring blankets and chairs to enjoy the show. No tables or roped off areas are allowed. Ruffhaus Hot Dogs will have food at the concerts or concertgoers can dine at one of the many restaurants in Town Center. As a courtesy please do not park on Town Center Boulevard or in spaces directly behind the businesses. Due to the large crowd, it is recommended that dogs and other pets remain at home. 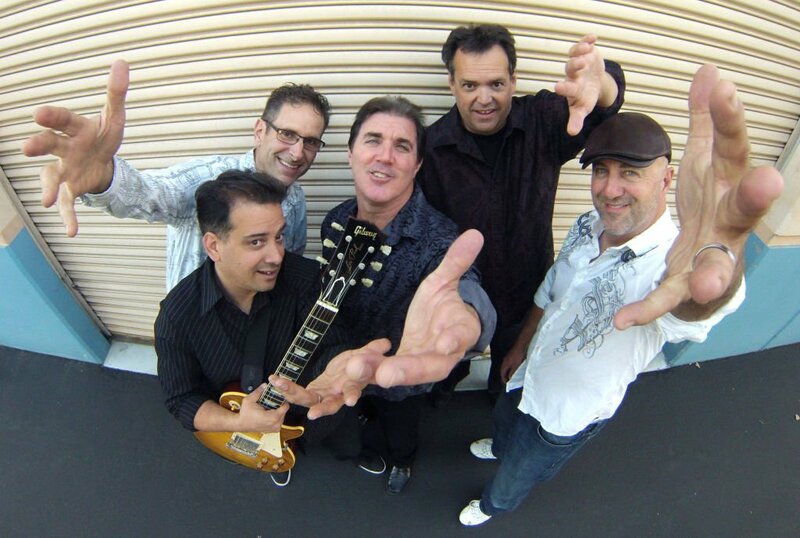 Petty Theft, made up of six professional Bay Area musicians, will be delivering Tom Petty and the Heartbreakers’ songs at El Dorado Hills Town Center’s free Live on the Boulevard summer concert series on Thursday, Sept. 1 from 6:30-8:30 p.m. The group will perform everything from revered classics to current hits true to the originals and in the spirit of this legendary band’s live shows. Since Petty Theft’s inception in 2003 the band has been entertaining audiences with an electrifying performance in clubs, private parties and festivals, large and small. The group plays approximately 50 shows a year to sold out crowds. Primarily playing in the greater Bay Area, Petty Theft also performs in the Northern California region from Santa Cruz to Tahoe, up to Mendocino and everywhere in between. When the fan base calls they make the trip to Southern California. Earlier this year the band played its first dates in Portland, Ore. and Seattle, Wash. at two popular and historical venues — McMenamin’s Crystal Ballroom in Portland and The Showbox in Seattle. Drummer Adam “Bagel” Berkowitz plays with an infectious groove and has produced, engineered, mixed and drummed on more than 30 albums, one charted at No. 39 on the Americana charts and another recently moved to No. 16 on the CMJ Hip Hop charts. Berkowitz was one of 25 “up and coming” unsigned drummers across America to receive an endorsement deal with Paiste Cymbals (the world’s third largest manufacturer of cymbals, gongs and metal percussion) and has toured throughout the continental U.S. and abroad. Django Bayless on bass guitar and backing vocals is a founding member of Petty Theft. He also performs with The 85s (an ’80s tribute band). Bayless solidifies the rhythm section with his steady bass playing and anchors the vocals with his pristine high harmonies. Dan Durkin on lead vocals, acoustic guitar and harmonica is a founding member of Petty Theft as well. He also founded Marin County bands Frontline and East of Eden. His band East of Eden has shared the stage with Michael McDonald, Chris Isaak, Bruce Hornsby and even drummer Pete Best of The Beatles. His left-handed and upside-down guitar playing has fascinated audiences and leaves other guitarists scratching their heads. Michael Papenburg on guitar, a Bay Area native, is a sought after session player who has been performing in Bay Area bands since the early ’80s. He loves playing slide guitar and has been a fan of Tom Petty since he bought a 45 of “Breakdown” when it was first released. Playing lead guitar is Monroe Grisman, who is an accomplished veteran of the Bay Area music scene and has performed with numerous bands that have toured both domestically and abroad. Currently he works as a producer and session musician on local and international recording projects and is also a member of one of the Bay Area’s most promising original rock bands, American Drag. Music runs in Grisman’s family. His grandfather was a professional trombonist and his father, David Grisman, a renowned bluegrass/newgrass mandolinist and composer of acoustic music named him after bluegrass music pioneer Bill Monroe. Grisman described what Petty Theft is and isn’t. “As far as tribute and cover bands go, we don’t do the costume thing and try to be Tom Petty and The Heartbreakers. We really put a lot of care into honoring these songs and the music that the original guys — who we like to refer to as ‘the real deal’ — put together and created,” he said. Petty Theft is also considering the idea of releasing a live album and donating all the proceeds to several of Tom Petty and the Heartbreakers’ charities such as the Tazzy Animal Rescue Fund, Rock the Dogs, a charity started by Heartbreakers’ lead guitarist Mike Campbell and his wife Marcie. Petty Theft is looking forward to playing at Thursday’s Live on the Boulevard concert and revealed what the audience can expect. The party takes place at the Steven Young Amphitheatre, 4364 Town Center Blvd. in El Dorado Hills. It is festival-style seating and guests are invited to bring blankets and chairs to enjoy the show. No tables or roped off areas are allowed. Ruffhaus Hot Dogs will have food at the concert or concertgoers can dine at one of the many restaurants in Town Center. As a courtesy do not park on Town Center Boulevard or in spaces directly behind the businesses. Due to the large crowd, it is recommended that dogs and other pets remain at home. For more information visit EDHTownCenter.com. Forejour will be recreating, with stunning accuracy, the music of two beloved multi-platinum mega-bands of the ’80s, Foreigner and Journey, at El Dorado Hills Town Center’s free Live on the Boulevard summer concert series this Thursday, Aug. 25 from 6:30-8:30 p.m.
Take a trip back in time, or experience the music of the ’80s today, as they sing Journey’s most popular song, “Don’t Stop Believing.” That hit song, by the way, is the most downloaded song recorded in the 20th century. Other chart-toppers that have touched millions of fans such as “Waiting for a Girl Like You,” “Anyway You Want It,” “Faithfully,” “Stone In Love,” “Lights” and more will also be on the set list. Foreigner favorites include “Feels Like the First Time,” “I Want to Know What Love Is,” “Juke Box Hero” and many more. Forejour members include MaryBeth Keller who is the manager and booking agent, her husband Chris Keller playing bass guitar and singing vocals, David Kelleher singing lead, Frank Acosta on guitar and vocals, Darin Fister at the drums and Rob Carter who plays keyboards and also provides vocals. “The nucleus of Forejour took shape with Chris and Darin in an Antioch, California garage in 1980. They performed and recorded in various bands over the decades, most notably with Fragile Glass. The two, who are now brothers-in-law, recorded two albums with present day smooth jazz artist Steve Oliver. In 2005, they formed Replica – 80’s Rock Revisited,” MaryBeth explained. MaryBeth found inspiration to give the band focus when she stumbled upon a dual tribute band in England, A Foreigner’s Journey, that was having its own success. “We all loved the idea. I came up with ‘Journier’ as a band name. But Darin suggested that we try to play on the stolen identity theme that some tributes have so cleverly employed. He thought some derivative of ‘forgery’ would be good, so by combining the first four letters of both band names, the name Forejour was born,” Chris said. In testing out their new repertoire, Replica experienced enthusiastic audience reactions to Foreigner and Journey songs and so in the spring of 2013, Forejour emerged, fueled by the quintet’s chemistry and a love for the music of Foreigner and Journey. Forejour plays strictly in California. The band carries a streak of sold out shows at clubs and small theaters, as well as winery concerts. The largest free concerts have numbered upwards of 3,000 in attendance. They have received invitations to travel out of state, but the logistics haven’t worked. Forejour is made up of musicians from all over the state, each of whom has to find balance in their rock star nightlife, day jobs and family life. Fister lives in Brentwood and has been playing the drums for 38 years. “Most days I’m a prominent Porsche mechanic/parts builder, and on the weekends I get to pretend I am a rock star,” he said. Kelleher is originally from the Boston area and currently lives in Martinez. He plays frequently as a solo artist in many Bay Area night clubs and restaurants. Acosta, who lives in Concord, is the only full time musician in the band. He plays in three other groups in addition to his original band. He also runs Synergy Studios and is a piano tuner for Steinway. Carter lives in Brentwood, plays in two other bands and works at Lawrence Livermore Labs. Chris and MaryBeth live in Pioneer, where Chris works for FedEx and MaryBeth — when not managing the band’s affairs — juggles her time as legal secretary for a law firm in Oakland and is also a talent buyer/booking agent for an upscale nightclub in Napa. “We play very true to the original and have exceptional musicianship. We’re a fun rock show with great songs that we all grew up with from Foreigner and Journey. I think the audience will be surprised about how close to the originals we sound,” Fister said with confidence. The band promises the Live on the Boulevard audience will experience a great rock show where the band having as much fun as the crowd. “We all grew up listening to these bands, and want to do the songs justice by performing them with energy and excitement — like when your favorite song comes on the radio, you can’t help but sing along,” said MaryBeth. And don’t expect a Foreigner or Journey look-a-like contest as for Forejour, it’s all about the music. Forejour’s testimony for faithfully performing Foreigner and Journey music is the result of demonstrating their dedication, energy and passion on stage, as well as with each other. Find out for yourself Thursday night as the Live on the Boulevard concert series continues. By: Staff ReportEl Dorado Hills Town Center continues to grow and thrive. Nine new businesses signed leases for more than 15,000 square feet, and are opened or are scheduled to open soon. “We are continuing to have a great year, as more new tenants enter the El Dorado Hills Town Center pipe line, ” says Tony Mansour, co-general partner of the Mansour/Nagle Partnership. Folsom Lake Eye Care is a full scope Optometry/Optical/Contact Lens practice. They boast state-of-the-art equipment including retinal photography and will be offering SpecTech, a virtual visual experience.Tea Xotics boutique features an 80+ loose leaf tea bar that serves hot and iced teas and coffees and specialty tea beverages. Tea Xotics also carries premium olive oils, vinegars, locally made soaps, candles, and array of bath and body items that are made locally or by Tea Xotics. El Dorado Hills Insurance Solutions, Inc. specializes in life insurance and annuities. Coastline Travel Advisors is a Virtuoso affiliate travel office. Services Include group travel and custom, individual-travel requests, multi-generation family travel, and spa and wellness travel. The Game Room Adventure Cafe´ (GRAC), the Sacramento region’s first game café/escape room combination, will open in August. It will serve cafe-style food and provide wood tables and chairs designed for comfort and hours of board game activities. Blow Me Away is a luxury, blow-dry bar that provides an array of beauty services and a private room available for group reservations. 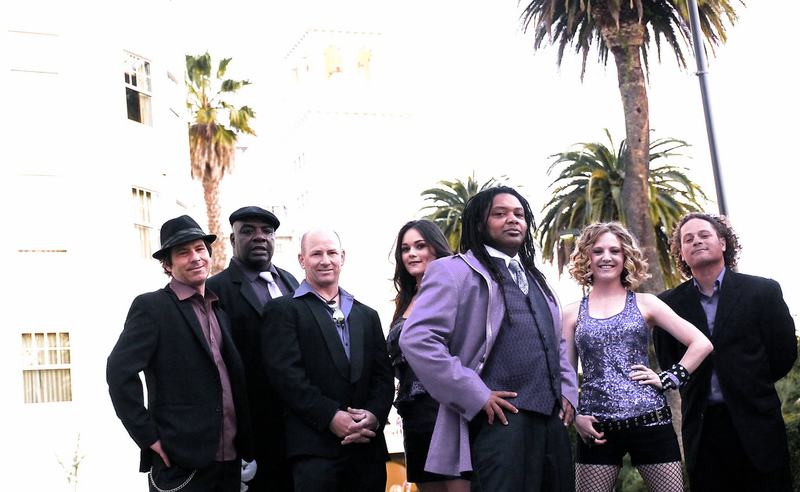 Joy and Madness, a talented nine-piece soul and funk explosion, will be making the dance floor move at El Dorado Hills Town Center’s free Live on the Boulevard summer concert series Thursday, Aug. 18th from 6:30-8:30 p.m.
Joy and Madness is a Sacramento-based music phenomenon that has been rocking stages all over California since 2012. It has shared the stage with Tower of Power, Collective Soul, The Monophonics, Trombone Shorty and more, bringing high energy, grooves and fun for audiences and fans at popular festivals and clubs. Frontman Hans Eberbach is an award-winning vocalist and songwriter. Eberbach opened up about how the band came together and got its name. “The band was started after splitting from a previous band that many of us were in that played obscure funk and soul music covers generally from the Memphis and New Orleans areas. About two-thirds of the members of Joy and Madness were in that band,” Eberbach said. The members of Joy and Madness include: Hans Eberbach — lead vocals; Jeremy Springer — keys, samples, loops; Bobby G — lead and rhythm guitars; Miss Nyxi — bass and vocals; Andrew Enberg — drums; Ryan Sacco — percussion; Tony Marvelli — trumpet; Tim Taylor — tenor sax and Raul Sandoval — Bari sax. Although serious musicians, the band members also live a serious life when they aren’t on stage. Enberg teaches music for a living, Marvelli is the music director at River City High, Nyxi teaches as well and runs a choir. Marvelli has been playing trumpet since he was 10 years old. “At an early age I was introduced to the working musicians in Sacramento and got to watch some amazing performances, mostly jazz. I went to the University of North Texas and studied jazz for an undergrad. After that I went out on the road for a bit. I got to travel to Asia twice, the Caribbean and all over the U.S. I’ve even crossed both the Pacific and Atlantic Oceans by cruise ship performing in the show band,” Marvelli said. Unpredictable twists and turns in life landed Eberbach where he is today. After his first record deal with Sony/Columbia “went down in flames” in the middle of a national tour, Eberbach ended up working for the Sacramento County Sheriff’s Department in the main jail downtown from 2004 to 2009. “I worked in booking and the central control room. I was non-sworn, but had to wear the black and gold uniform the deputies wear. It was the last place in my life I ever thought I’d end up, especially after signing a record deal with Sony/Columbia,” Eberbach said. “I was seeing all walks of life as people were brought in from the street and I gained a unique insight on what life is like for people on both sides of that glass. It was an up close study on the human animal. I was writing songs through it all, but I was miserable. I was 40 pounds heavier, slowly recording a solo album after the break-up of my previous band, Looking Star,” he explained. Eberbach sought local opportunities to start building the possibility of a sustainable income with music and reached out to friends who pointed him in the right direction for picking up “bread and butter” gigs as a solo artist. Eberbach received a call to sing for a band which slowly built a Northern California/Bay Area following over a few years. However, when that band split he started Hans! and the Hot Mess and then, he thought against all odds, Joy and Madness came together. Focusing on Joy and Madness Eberbach said, “Joy and Madness distinguishes itself from other bands by putting on a show that gives so much energy and a feeling of inclusiveness that people are able to completely release themselves to the music and get up and dance,” Eberbach continued. The band is writing new songs for an extended play (EP) release by the fall/winter of 2016, as well as developing a vinyl re-release of their first two EP’s combined. Their two EPs have won both Independent Music Awards and Akademia Music Awards and reaped glowing reviews. Even though they’re willing to go to distant lands to share their music, distance is not want they want on stage. Having a close interaction with the audience is important to them. “What the Live on the Boulevard audience can expect from us is a revelatory experience beyond the predictable and expected. No tired covers, no phoned-in performances and no ‘safe distances’. We’re all in this together, and they’re going to feel that. I think the audience will be surprised by how impacted they are by the performance,” Eberbach affirmed. With a potent blend of high energy, pulsating music, horn lines and Eberbach’s connection with the audience to everyone will be pulled into the excitement of their Joy and Madness experience. Their exciting performance takes place at the Steven Young Amphitheatre, 4364 Town Center Blvd. in El Dorado Hills. The concert is festival-style seating and guests are invited to bring blankets and chairs to enjoy the show. No tables or roped off areas allowed. 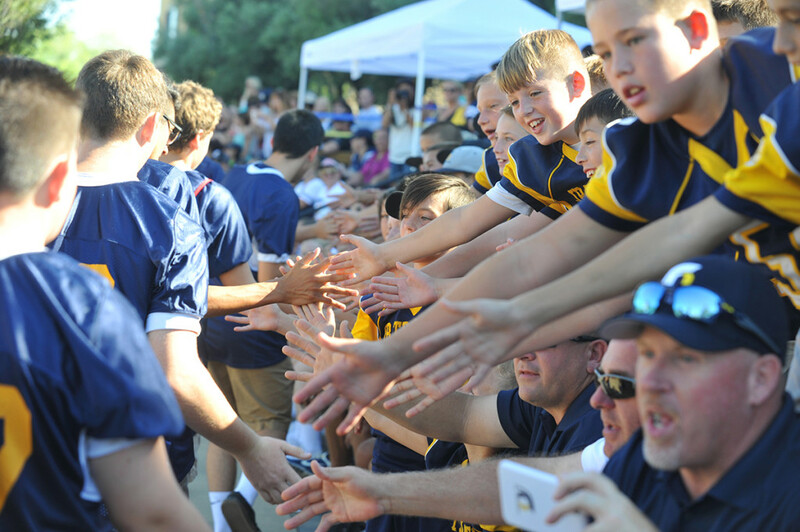 Fans got their first official look at this year’s Oak Ridge High football and cheer programs during the annual “Meet the Trojans” event in EDH Town Center. Varsity players and cheerleaders were introduced, head football coach Eric Cavaliere addressed the crowd, and Trojan pride was on display as Cavaliere and Co. prepare for the upcoming fall schedule. Democrat photos by Jackie Penn. 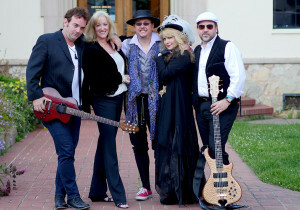 The talented members of Fleetwood Mask, with their uncanny recreation of the look and sound of one of rock’s most enduring and successful bands Fleetwood Mac, are dedicated to present an unforgettable musical evening on Thursday, Aug. 11 at the El Dorado Hills Town Center’s Live on the Boulevard from 6:30-8:30. What’s even better news is the summer concert series is free. The band members include: Claudette Rodriguez, Barbara Martin, Mark Blasquez, Paul Jones and Don Oberempt. Rodriguez (Stevie Nicks) has been singing since age 5. With her natural, quick vibrato, she learned she had a talent for vocal performance. Having the opportunity to perform Fleetwood Mac’s classic songs live is a “dream come true” for her. Martin (Christine McVie), music director, has studied and taught classical, jazz and blues piano and she can play just about any instrument. She has always been inspired by the singing/songwriting skills of Fleetwood Mac’s Christine McVie and due to that inspiration, she has performed and published many songs of her own. Blasquez’s (Lindsey Buckingham) original music can be heard on movie trailers and TV shows such as “CSI,” “Burn Notice,” “Smallville” and many others. His signature musicianship channels the spirit and sound of Lindsey Buckingham. Jones (John McVie), bass player, is the one who had the vision to unite the band in 2011. He started playing bass before he was a teenager and was influenced by ’70s and ’80s rock, soul, funk and punk sounds of the Bay Area. True to the John McVie sound, he plays Alembic, Fender and Rick Turner basses and drives the business side of Fleetwood Mask. Oberempt (Mick Fleetwood) was attracted to the rhythmic beat drumming style of Fleetwood and the syncopated drum patterns of his music. Having the opportunity to re-create Fleetwood Mac’s music is both an honor and a privilege. Fleetwood Mask is endorsed by Mick Fleetwood. In December 2011 the band started after they had a friendly jam session during the Christmas holiday break from their children’s school. “Paul Jones our bass player had heard me sing in other bands that we were in before and said that I sounded a lot like Ms. Nicks and we should do a tribute to Fleetwood Mac,” Rodriguez said. Jones chipped in, “After those first few jam sessions in late 2011 and early 2012 we felt like we were on to something. We all had a love and respect for Fleetwood Mac and were amazed how much we liked playing the music and thought we sounded pretty good. We took about five months to pull a show together, figure out what a tribute band was and started networking with my other bands. Rodriguez revealed how the band got its name. “My ex-fiancé’s wife came up with it. At the time he was our guitar player,” Rodriguez said. Not only do the Mask members bring down the house with their voices and music to please even the most critical and die-hard fans but they dress the part. Rodriguez explained how her fashion designers, with painstaking care, emulate Nicks’ wardrobe. “Many of the designers I use literally do their due diligence and analyze her concert photos and fabrics before putting it all together and duplicating some of her amazing shawls and costumes. Three out of the five shawls I use are duplicates of what she wears on stage,” Rodriguez said. The group’s dedication to be authentic and to reflect the true essence of Fleetwood Mac has impressed Mick Fleetwood. “Mick has been supportive of the Mask at its earliest onset. My brother Chuck Bergson lives on Maui and has become great friends with Mick. When we first started exploring the idea of this tribute to Fleetwood Mac, Chuck showed him some video we shot. He loved us instantly and wanted to know how and what he could do to help us. He was the one who suggested recording and videotaping himself so that we could use it however we wished. “So, we have him narrating our current promo video and its Mick’s voice introducing the band before many of our shows. It is truly an unusual and amazing gift for which we are so grateful. He also invited us to come to Maui and play at his restaurant and we feel that is going to happen in the near future,” Martin said. Fleetwood Mask has also impressed audiences across the country. The group has played primarily in Northern California and has ventured out of state and played in Albuquerque, N.M.; Midland, Texas; and Idaho. The plan is to expand to Southern California and into Oregon, Washington and eventually all states and outside of the United States. The band members are also planning to act on Mick Fleetwood’s offer to play at his restaurant, Fleetwood’s on Front Street in Maui. Each performance offers a new experience and the Live on the Boulevard concert will be no different. “Fleetwood Mask show is highlighted by each performer having their time in the limelight … Claudette on ‘Landslide,’ Mark on ‘Never Going Back Again’ or an incredible rendition of ‘Big Love,’ Barb’s ‘Songbird,’ Paul’s bass solo in ‘The Chain,’ that always gets the crowd going, and of course, Don’s drum solo in ‘World Turning.’ That’s what makes a Fleetwood Mask show so memorable … there is always some highlight happening,” Oberempt said. “My best memories performing with the Mask are many,” Martin said. “Playing at John Ascuaga’s Nugget to a sold-out crowd of about 700. The whole experience was magical due in large part to the wonderful people who work that stage. The audience was so enthusiastic, which makes performing such a joy. “I know this sounds cliché but I have amazing memories from each and every performance we have done over the years — from Bimbo’s and Slim’s in San Francisco — to thousands of fans in Meridian, Idaho to our earliest performances at many art and wine festivals. All memorable experiences with their own individual characteristics,” Oberempt said. The performance is at the Steven Young Amphitheater, 4364 Town Center Blvd. in El Dorado Hills, with the scenic surroundings of fountains and nature along the waterway. The concert is festival-style seating and guests are invited to bring blankets and chairs to enjoy the show. No tables or roped off areas are allowed. Ruffhaus Hot Dogs will have food at the concert or concertgoers can dine at one of the many restaurants in Town Center. As a courtesy please do not park on Town Center Boulevard or in spaces directly behind the businesses. Due to the large crowd, it is recommended that dogs and other pets remain at home. 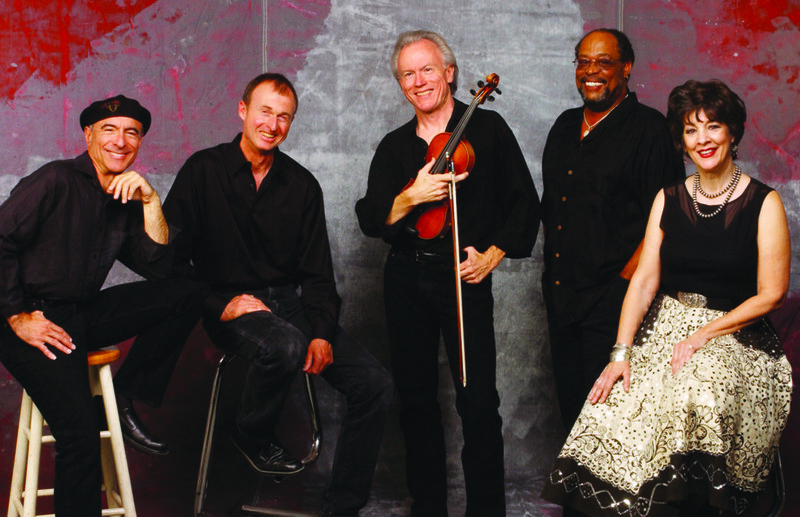 Tom Rigney, center, and Flambeau will perform an eclectic mix of music at the El Dorado Hills Town Center’s Live on the Boulevard on Thursday, Aug. 4. August nights are hot but Tom Rigney and Flambeau are even hotter. Watch the group’s sizzling and mesmerizing performance at the El Dorado Hills Town Center’s Live on the Boulevard on Thursday, Aug. 4 from 6:30-8:30 p.m. The hottest deal is the summer concert series is free. Rigney, violinist, composer, Cajun fiddler and leader of Flambeau, revealed his extraordinary musical beginning and how his special talents with the fiddle and violin evolved into becoming a premier blues and roots music fiddler and violinist. 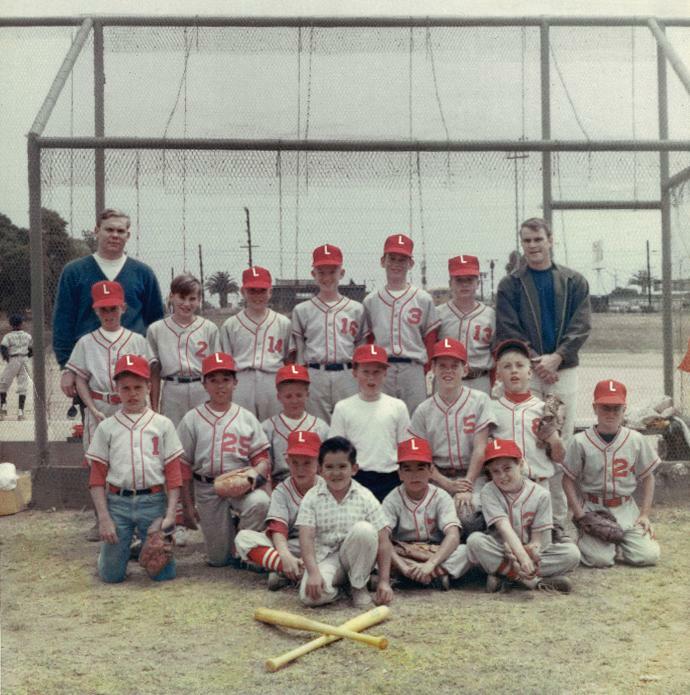 Often one’s musical career begins with the influence of a talented family member who shares a passion for singing or playing an instrument but Rigney’s family was not involved in music — he grew up in the world of baseball. His father Bill Rigney was a professional baseball player and, later on, became a Major League manager. He played for the New York Giants from 1946-54, then managed the Giants in New York in ’56 and ’57 and came with them to San Francisco in 1958. He was the first manager of the Los Angeles Angels when the American League first expanded in 1961. In all his Major League career lasted more than 50 years and he finally won a World Series ring in 1989 while working as an advisor for the Oakland Athletics. Rigney first took up the violin at the age of 24 after finishing his master’s degree in fine arts at Harvard University. He didn’t have previous musical experience but was fascinated by the violin; he enjoyed listening to classical violinists and was entranced by watching them in concert. The meeting was more than a short encounter. The age factor was always on the table. Early in his playing career he played bluegrass, traditional country music and western swing. His second band Back in the Saddle won a Bammie Award in 1980 for its first record, a four-song EP featuring the local radio hit song “Time and Again” that was the first original song of Rigney’s to be recorded. After the breakup of Back in the Saddle, he joined Queen Ida and the Bon Temps Zydeco Band and toured the world playing zydeco music during 1983-84. As one band breaks up another one seems to form, incorporating new sounds. Over the years he has been influenced by all the music he listened to and loved and with Flambeau made his dream to play that music a reality. Rigney described Cajun and zydeco music. Rigney’s latest project is a CD he is excited about and so are others. He said they will be playing a lot of music from the new album at the Live on the Boulevard concert. Rigney is also excited about the recent performance for PBS as part of its “Music Gone Public” series. The group was one of 10 acts chosen by PBS for this new music series and the concert has been shown on approximately 100 PBS affiliates around the country over the past several months. As Rigney is enjoying his exciting and amazing career that continues to evolve he serves as an inspiration to others. Rigney predicted his performance will be unpredictable. The simmering performance takes place at the Steven Young Amphitheatre, 4364 Town Center Blvd. in El Dorado Hills. The concert is festival-style seating and guests are invited to bring blankets and chairs to enjoy the show. No tables or roped off areas are allowed. Ruffhaus Hot Dogs will have food at the concerts or concertgoers can dine at one of the many restaurants in Town Center. As a courtesy, please do not park on Town Center Boulevard or in spaces directly behind the businesses. Due to the large crowd, it is recommended that dogs and other pets remain at home. For more information visit EDHTownCenter.com or tomrigney.com. A business that combines the escape room trend with board games is the latest step in a local retail center’s focus on experience-oriented offerings. The Game Room Adventure Cafe is expected to open in the El Dorado Hills Town Center in August. It will fill 1,430 square feet in a ground-floor space below a former Chili’s Grill & Bar. Super Suppers previously occupied the space. A business that combines the escape room trend with board games is coming to El Dorado Hills. It will be a franchise location for The Game Room Adventure Cafe, a locally owned business that debuted in Elk Grove last year. The business has a variety of components, including team-building rooms in which guests must solve puzzles within 60 minutes to successfully “escape.” The concept is gaining momentum in the Sacramento region and beyond. The Game Room Adventure Cafe has two additional elements: games and food. 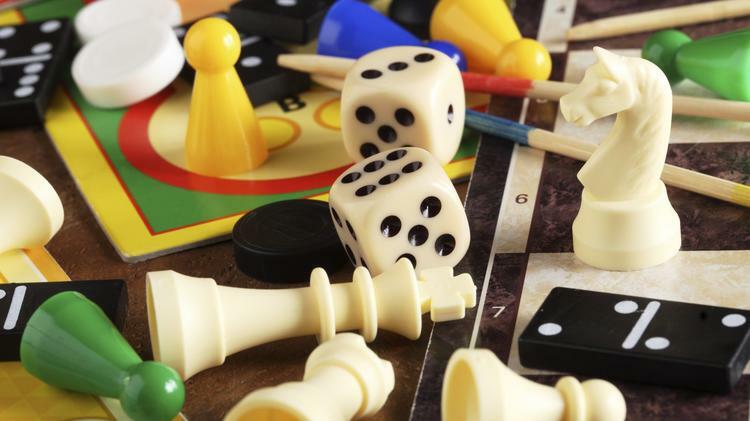 The existing Elk Grove location has a wide variety of board games that customers can play. There’s also a cafe that serves food, craft sodas, milkshakes and more. The new site will be designed for “hours of board game activities,” according to a statement from the center. As traditional retailers close brick-and-mortar stores and focus on the internet, shopping centers are turning to service providers, including experience-oriented restaurants, to fill the gaps and drive traffic. The El Dorado Hills Town Center added a cryotherapy business, earlier this year. A blow-dry bar, which will offer hair-styling and makeup services, is alsoplanned at the center. 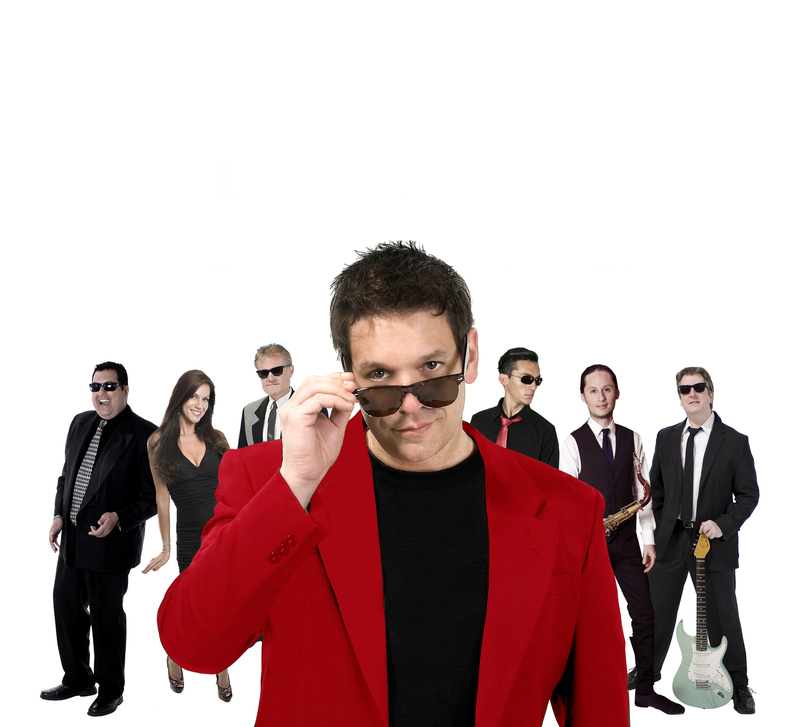 Huey Lewis-approved tribute band SuperHuey brings the near-real-deal talent to Town Center. A special evening for real Huey Lewis fans is happening when SuperHuey — The Ultimate Huey Lewis Experience performs at the El Dorado Hills Town Center’s Live on the Boulevard Thursday, July 28, from 6:30-8:30 p.m. The summer concert series is free. SuperHuey — The Ultimate Huey Lewis Experience is personally approved of by Huey Lewis. Featuring a lead singer whose voice is indistinguishable from the real Huey Lewis, this seven-piece explosion of ’80s rock power performs with super high-energy, faithful renditions of feel-good music that defined a generation and today brings back memories to millions of endearing fans. This high-octane tribute show boasts some of the top players in the business. 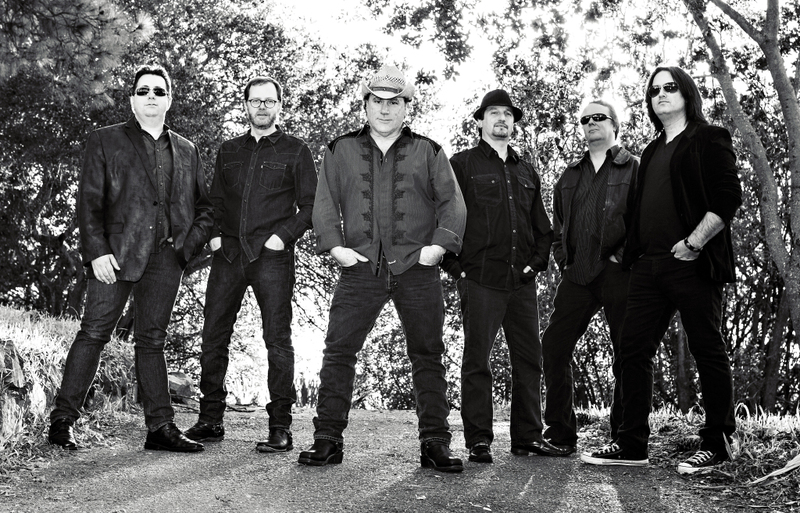 Each member is a solid stand out performer, passionate about Huey’s rootsy American rock. Ron Merlino (aka Screwy Huey) talked about how the band started and however much the band members wanted to continue — their beginning was conditional. They wouldn’t do the tribute band unless they had Huey Lewis’s personal approval to proceed. “SuperHuey started in 2011 and is based out of Sacramento. I’ve been a professional musician for most of my life. Before we started SuperHuey, I had a band called Mother Mayhem. We played all over California and Nevada for more than 10 years. Almost every time I walked off the stage after a show, someone would come up to me and say, ‘Man, you sound just like Huey Lewis.’ We all grew up listening to Huey Lewis and the News and we loved their music. So we talked with our management at HIP Entertainment about the idea of doing a straight Huey Lewis tribute. 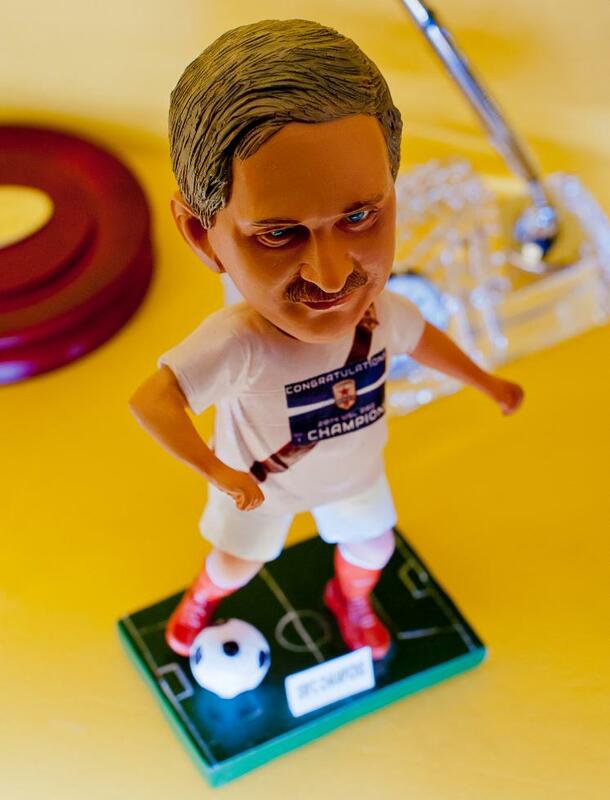 They liked the idea and once we decided to do it, we just made the calls to the players we knew who had the chops. The music is actually pretty tough to replicate. I would say that it is complicated in its simplicity. The genius in the band’s music is in the spaces between the notes and in the lyrics,” Merlino said. The group anxiously waited to hear back from Lewis and his band and when the answer came back positive, “We were fired up,” Merlino said. The group has taken its project to the stage and entertained and impressed audiences of all ages in the Western United States at fairs, festivals, arenas, sporting events, showrooms and performed at the California State Fair last week. Last year SuperHuey was the Season 5 finaliast for AXS TVs “World’s Greatest Tribute Bands” with Katie Daryl. The technical side of music production and the chemistry may have something to do with the band’s success. The passion to play music ran in Merlino’s family and he really wanted to play but experienced difficulties in learning. Rocking as SuperHuey is a part of Merlino’s life but not his whole life. His wife Tina also performs with him and the other band members all juggle their professional day jobs with their passion to perform on stage. “I am a Realtor at Keller Williams Realty Sacramento,” Merlino said. “Tina and I met in the music scene about eight years ago. As far as juggling, we keep it all in perspective and our clients seem to like the fact that we have a little fun outside of the real estate business. We love real estate and we are really good at it. It’s a passion of ours. Music is also a passion. But it’s really just a hobby.” Merlino said. The hobby can also be therapeutic. “It’s a way for me to blow off steam. I think engaging in art of any kind is a great way to relieve stress and calm the mind. Some people pay thousands of dollars per month to do the same thing playing golf. We get paid to do our hobby. Plus, I don’t have the mentality or the skills for golf … me on the golf course is not a pretty sight. Huey is no slouch on the course, though,” Merlino said. The other band members have day jobs, too. Eric Dahm — keyboardist, saxophonist and backing vocals is an entrepreneur and business owner. Paul Fletcher — bassist and backing vocals is in construction. Guy Kowarsh — producer, stage manager, drums and backing vocals is a professional producer, audio engineer, professional photographer and videographer. Chris McCandless — lead guitar and backing vocals is an attorney. Javier Ramirez — solo sax is a musician. The group is also looking forward to playing at Town Center in El Dorado Hills. “We love the Thursday night Live on the Boulevard. We have played it for three years in a row, with a year off in 2015. The best thing about that show is the people. There are some major Huey Lewis and the News fans in that crowd,” Merlino said. This rockin’, feel-good party takes place at the Steven Young Amphitheatre, 4364 Town Center Blvd. in El Dorado Hills, with the scenic surroundings of the waterway as the backdrop. The concert is festival-style seating and guests are invited to bring blankets and chairs to enjoy the show. No tables or roped off areas are allowed. Ruffhaus Hot Dogs will have food at the concerts or concertgoers can dine at one of the many fine restaurants in Town Center. As a courtesy, please do not park on Town Center Boulevard or in spaces directly behind the businesses. Due to the large crowd, it is recommended that dogs and other pets remain at home. For more information visit EDHTownCenter.com or superhueyband.com. Gumboot will be performing Thursday, July 21 from 6:30-8:30 p.m. at El Dorado Town Center’s Live on the Boulevard free summer concert series. The Northern California blues band is made up of an extraordinary group of seasoned and new musicians who have played all over California for some time and as a band since 2013. Anchored by young drummer phenom De’Andre Washington and seasoned bassist Brian Saastad, Gumboot brews up a mix of wailing blues and funk grooves with the flavors of Freddie King, Stevie Ray Vaughn, Bill Withers, the Allman Brothers and the John Mayer Trio — along with reworking classic blues tunes with its own heavier style — into a steaming pot of melted feel good. Guitarists Mark Thompson and Stephan Hogan pour a generous portion of flair and flavor, the perfect reduction for the jazz-infused layers of keyboardist Kirt Shearer and renowned sax man Curtis Gaesser, sautéed with Jon Augustine’s simmering vocals. While fans taste the bluest blues of Gumboot they agree — never has feeling bad sounded so good. Locally the group has played at Harlow’s, the Powerhouse Pub, the El Dorado Hills Town Center venue and more. Lead vocalist and keyboard player Jon Augustine talked about Gumboot, its newest and oldest members, where the musicians have been, where they are and where they’re going. “Our goal has always been about the music and the good times, we’ve deliberately kept our gig schedule at a minimum. It’s just the reality of our lives and schedules. When we do get a chance to play, it feels like a musical reunion. Everyone is happy to see each other, everyone can’t wait to hear what the other guy is doing and we know our time together is short, so we try and make the most of it,” Augustine said. “On top of that, we have two younger players in Stephan Hogan and De’Andre Washington and they are both very special musicians. They each slid right into the ‘old man feel’ that blues music demands. They play way beyond their years. The rest of us feel a little responsible for them, sort of like we’re older brothers who want to help them get to where they’re going. It’s fun to watch them grow and we’re excited for their future,” Augustine said. He spoke of the musicians with pride. “De’Andre moved here from Washington, DC, to play football for Sacramento City College. Our keyboardist Kirt Shearer heard him play drums at a showcase event at Harlow’s and was blown away by his style and feel. He immediately recruited De’Andre for Gumboot and told him he’d get a chance to play with some seasoned guys who could help him develop even further,” Augustine said. In the beginningAugustine elaborated on the inception of Gumboot.“Gumboot evolved out of the brain of Curtis Gaesser. Curtis and I play together at church in our worship band. We’d been talking for a few years about past attempts to form a super blues group out of people we know in town. The primary goal was to get together some guys who love to hang out with each other, who had similar skill levels and a passion for this music. We both had an exact idea of who we wanted in the band and started making the calls in 2013 and recruiting our friends who had been around the music scene for years,” he said.“The challenge was this — most of us were not trying to make it as performers, which meant we were busy adults, locked into demanding day jobs. Finding the right guys was, and still is, not the problem. Getting our schedules to coordinate proved to be the biggest challenge. Once we tackled that, we had our first jam session and knew we found something unique,” Augustine said.The name Gumboot is taken from a line in the Beatles’ “Come Together.”“It’s a happy coincidence that the word sounds like something born in a Delta swamp,” Augustine said. Although the band will be really busy at the end of this summer and the beginning of fall, it’s likely the group will not play again around town until early 2017. Hogan, as one of the finalists to open for Vince Gill at one of Gill’s U.S. Tour performances, will be competing again soon for the coveted spot in Los Angeles. In the future, Gumboot hopes to play in a couple of the larger blues festivals in Northern California, otherwise they’re content with playing mostly local. “We’re really limited with our schedules, so we’re choosy about wanting to play where and when our friends could come see us. The great thing about our area is there are tons of people with really good taste, lots of soulful ears who love this kind of music. It makes it real fun to play, and of course, we love it when hundreds of our closest friends come out to hang with us,” Augustine said. A fun, crowd-engaging set of music with a lot of punch will be performed at Live on the Boulevard. “We’re drawn together by our respect for one another as musicians and our love for this kind of music. Our only aspiration is to have a good time doing what we love with people we really like. It’s kind of a feel-good story when you consider that most of the members are from here and have been on the scene for decades. Add the fact that two of the young guys are on their way up and it makes it a really compelling group. Anyone who is a fan of seeing incredible players really stretching their skills will love Gumboot. People who come to hear us can feel proud of this region and can have a really good time with us to boot,” Augustine said. Enjoy an evening of rockin’ blues with Gumboot at the Steven Young Amphitheater, 4364 Town Center Blvd. 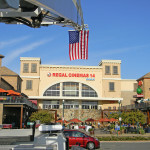 in El Dorado Hills, with the scenic surrounding in El Dorado Hills Town Center. The concert is festival-style seating and guests are invited to bring blankets and chairs to enjoy the show. No tables or roped off areas are allowed. Ruffhaus Hot Dogs will have food at the concerts or concertgoers can dine at one of the many fine restaurants in Town Center. As a courtesy, please do not park on Town Center Boulevard or spaces directly behind the businesses. Due to the large crowd, it is recommended that dogs and other pets remain at home. For more information visit EDHTownCenter.com. You can also visit Gumboot’s website at gumbootblues.com. The highly anticipated fireworks show in El Dorado Hills is back. On Sunday, July 3 from 7-11 p.m., ring in Independence Day and have a blast as El Dorado Hills Town Center presents its annual Fireworks and Freedom Concert. Entertain the kids in the Kids Zone with bounce houses, face painting, balloon artists and a DJ playing games and giving away prizes beginning at 7 p.m.
Purchase a Kids Zone wristband for unlimited access from 7-9:30 p.m., with proceeds benefitting Hands4Hope. Kids Zone wristbands will be available for pre-sale at the California Welcome Center, 2085 Vine St. in El Dorado Hills. Live music by Apple Z in the Steven Young Amphitheater begins at 8 p.m. and will keep the party going through the night. Apple Z is a dance party and rock show all mixed into one. The band is known for world-class musicianship, rock concert showmanship and packing the dance floor with crowd-pleasing classics from ’60s rock through the ’80s, ’90s and the best of today’s Top 40 dance hits. There will be food vendors and food trucks lined up along Town Center Boulevard serving tasty eats. Beer and wine will be available for purchase courtesy of the El Dorado County Food Bank. Don’t miss the silent auction for a Sacramento Kings signed basketball with all proceeds going to the El Dorado County Food Bank. The evening will conclude with a spectacular fireworks display choreographed to music designed by Pyro Spectaculars, a Southern California-based company that specializes in producing pyrotechnic shows. Notably famous in the world of fireworks show production and billed as the largest such company on the West Coast, Pyro Spectaculars has provided firework entertainment during the 50th birthdays of the Golden Gate and Oakland Bay bridges, the 1994 Pink Floyd concert tour and has also lit up Olympics performances along with several Super Bowls. Parking will be available at Blue Shield, located at 4203 Town Center Blvd. and Rolling Hills Christian Church, located at 800 White Rock Road. This event is brought to the community by El Dorado Hills Town Center, a development by the Mansour Company and Holiday Inn Express & Suites, Mercedes-Benz of El Dorado Hills, California Welcome Center, Marshall Medical Center, Mercy Hospital of Folsom and Mercy Medical Group. Public set up time begins at 5 p.m. No tables, roping off or personal barbecues are allowed. Road closures and a special event exit plan will be utilized. For further details or more information visit edhtowncenter.com. Fireworks light up the sky at the El Dorado Hills Town Center fireworks show last Friday night, July 3. Rina is in El Dorado Hills Town Center getting a preview of the Fireworks and Freedom Concert. The real event is July 3rd from 7-11pm with Fireworks at 9:30pm. To watch the video, click here and watch the last 2 videos on the page featuring Town Center. The popular fresh mex chain is getting a new updated look. To crank up the action and provide good summer nights and memories, Bistro 33 in the El Dorado Hills Town Center, El Dorado Hills, is hosting its Summer Dance Party series throughout the summer in the Steven Young Amphitheater. In the lineup are Pop Fiction, Wonder Bread 5, The Cheeseballs and Hip Service — all who have a successful history of entertaining their audiences with amazing music and vocals that keep the beat and the dance floor moving late into the night. Saturday, June 18, Pop Fiction from 8-11 p.m. Pop Fiction’s music features the most popular dance hits covering more than six decades, playing favorites from the ’70s disco hits, ’80s hits, as well as some of the best alternative, techno, hip hop and club hits from the ’90s to today. The group has been entertaining the Bay Area and Northern California audiences for many years at festivals, private events, concerts in the park, parties and weddings and more. They play regularly in Sacramento, Folsom and El Dorado Hills. Dan Meblin of the group said, “I wear many hats — I’m the manager, vocalist and guitar player and whatever is needed. In El Dorado Hills, we have played for Bistro 33 several times and have also played at the El Dorado Hills Concerts in the Park where there’s always lots of people. We’re a fun, high energy dance band and do a lot of jumping around. We can even sing in Spanish. We have 11 players in the band who play bass, guitar, drums, keyboard, percussion, trumpet, the trombone and saxophone and three vocalists. He said the audience can expect a fantastic party and really good time. For more information about the band visit popfictionlive.com. Saturday, July 16, Wonder Bread 5 from 8-11 p.m.
“We love making each other laugh. We constantly try changing things up on the fly. Mike, our guitarist, will go into something completely unexpected. We all try jumping on board with where he’s going or we see if we can take it even further away from where it started,” Rickard said. The band was originally a Jackson 5/Michael Jackson tribute band. The group has performed for Bistro 33 many times before. The group has performed all over California. “We’ve also played Puerto Rico, Bermuda, Cabo, San Antonio, Charlotte, New York, Las Vegas and Sun Valley to name a few. We’ll play anywhere. We just love playing and entertaining,” Rickard said. Band members are: Jeffrey Fletcher, vocals; Chris Adams, keyboards and vocals; Michael Taylor, guitar and vocals; John McDill, bass and vocals; and Rickard, drums and vocals. For more information about the band visit wonderbread5.com. Saturday, Aug. 20, The Cheeseballs from 8-11 p.m.
They’re ready to rock and impress the audience at the Bistro 33 Summer Dance Party Series. According to Eric Cotton, vocalist of the band and known as the Big Cheese, aka Funky Lim, aka Charles Limburger, the group is no stranger to performing at the summer dance party. The band has a talent to play any style and pulls it off — from rock, rap, disco, funk, jazz, blues. “There are some good bands out there so we have to keep our set list current and are always looking for songs to expand the set list. We want to work harder than anyone to keep our show fresh. I love when the crowd is feeling what we are feeling on stage. We have some great players in the band. They lay it down tight every night and we feel it. When the crowd starts to feel it, it creates an energy that you can only describe if your there listening. We have some great fans that love to have a good time, ”said Cotton. The Cheeseballs have been around awhile, with each year growing more successful than the last. The group has played all over the country and Costa Rica, Mexico and Canada. Band members are: Cotton, vocals; Elizebeth Cadd, aka Queen Cheese, vocals; Sadie Brown, aka Velveta Brown, vocals; Bryant Mills, aka Kick the Flava, drums; Micheal Rogers, aka Eddie Munster, bass; Mike Leathermen, aka Gudakrist, keys/vox; and Ryan Kihn, aka Da Whiz, guitar. For more information about the band visit cheeseballs.com. Saturday, Sept. 17, Hip Service from 8-11 p.m.
Steve Bloom, manager and guitarist of Hip Service, is looking forward to the band performing for the Bistro 33 concert series again. Hip Service plays dance favorites ranging from Motown through the ’70s, ’80s, ’90s and today’s hits. It has been around since 1996. Nationally recognized, the band is called upon for celebrity celebrations, private and corporate events, fundraising galas, weddings, public concerts and venues. The band has shared the stage with names like Tower of Power, Huey Lewis and the News, Jay Leno, Coolio, Vanessa Williams and many others. “At the Bistro 33 show we will have five singers, four horns, drums, guitar, bass, keyboards, special guest artist Juan Escovedo on percussion, plus four choreographed HIP dancers. Wow,” Bloom said. Escovedo tours, writes and records both as a solo artist and with his family “The E-Family” that is quickly rising up the charts. “It will be a summer dance party to remember,” said Bloom. For more information about the band visit hipservice.com. Not many things can beat watching talented musicians entertain on the scenic waterfront and dancing the night away, making for special summer memories. Tickets are $10 pre-sale, $15 on the day of the event and available at Bistro 33 in the El Dorado Town Center. For more information visit edh.bistro33.com. Enjoy free evening concerts and dance into the night as this year’s season of Live on the Boulevard at the Stephen Young Amphitheater in El Dorado Hills Town Center begins tomorrow. Surrounded by the waterway, fountains and stunning architecture, the stage has a spectacular setting and attendees can indulge in tasty fare and refreshments from a vendor or the many restaurants lining the boulevard and the waterfront. 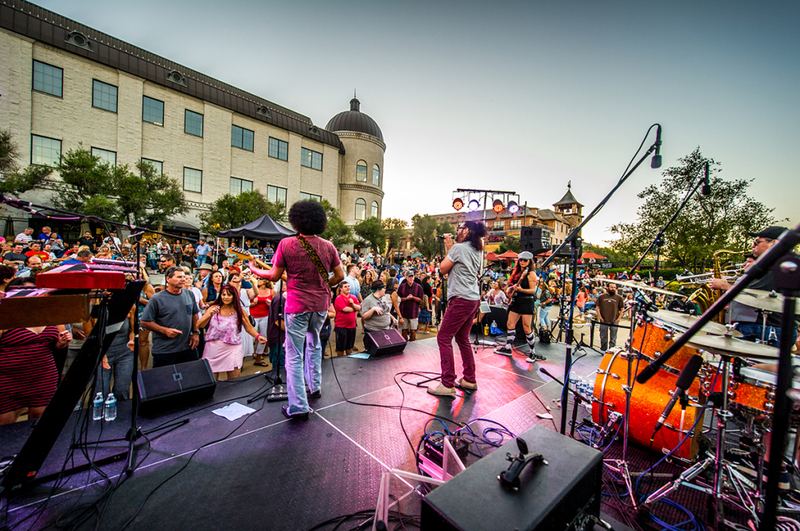 The region’s best cover bands will rock Town Center every Thursday from 6:30 to 8:30 p.m. with a finale concert on Sept. 8 with Folsom Lake Symphony. The symphony’s concert, Dancing’ in the Streets, will include songs that inspire the audience to do just that: boogie on the boulevard. Concerts have festival-style seating that allows for blankets and chairs but no tables or roped off areas. Concert viewing set-up begins at 5 p.m. The Steven Young Amphitheater is located at 4364 Town Center Boulevard in El Dorado Hills. Parking is not permitted on Town Center Boulevard or directly behind the businesses. Due to the large crowd it is recommended that dogs and other pets remain at home. 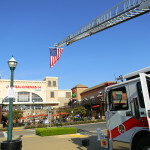 For more information visit eldoradohillstowncenter.com or call (916) 933-3013. El Dorado Hills’ reputation as a monied enclave and fanciness bastion takes another hit with Milestone, a comfort-food spot offering hearty portions and considerable craft at modest prices. as elegant yet casual spots where one can grab well-made, moderately priced food and enjoy views, from lovely patios, of Town Center’s man-made lake and the neon lights announcing the Regal Cinema 14 up the hill.Milestone replaced the higher-end Café Campanile, which rebranded itself as Café C and reopened in a smaller place closer to the theater. Town Center’s collection of mid-range dining options actually aligns with the luxury SUVs parked along its main drag, according to Milestone co-owner Nick Dedier. “The people who eat out up here, they eat out every day,” said Dedier, who also co-owns Aji Japanese Bistro, a more upscale yet still affordable 2 1/2 -year-old restaurant just around the way from Milestone. Since Milestone opened, its “simple, approachable, good” food has drawn those frequent diners, Dedier said, including families who swing by after soccer practice. On our visits – two for dinner, one for a late lunch – the rustic-themed restaurant that seats nearly 100 indoors and 30 outside was at least half full, with the crowd ranging from families to young couples to groups of women in their 30s to the occasional older guy bellied up to the bar. Dedier, an Elk Grove son with significant high-end restaurant management experience, including stints at Gary Danko in San Francisco and Thomas Keller’s Ad Hoc in Yountville, resists the terms “comfort food” and “ranch dressing.” He designates the prevailing cuisine at Milestone, which holds the braised and the fried in high esteem, as “Americana.” He calls his restaurant’s delicious house-made salad dressing “buttermilk vinaigrette.” Fat by any other name is just as comforting, and Aji/Milestone co-owner and executive chef Russell Okubo and Milestone chef de cuisine Jaydel Reyes hit that spot while also finessing it. Milestone’s braised, fried and buttermilk’d dishes generally taste a bit better than they need to, given their price level. The haddock in Milestone’s fish and chips moves from deep fryer to plate with its flesh still buttery and its outside crisped by a light panko breading. For 6 to 8 ounces of fish, a pile of subtly beer-battered fries (frozen, but so what, when they’re crispy/creamy?) and tangy, delightfully dill-heavy tartar sauce, one pays $14.50. And that feeling this salty-vinegary dish inspires, of being on a coastal boardwalk rather than a foothills patio overlooking a man-made lake? That’s free. Sitting on the Milestone patio on a breezy evening last month, our thoughts turned to the coming summer and perhaps experimenting with a lighter dish to counteract all that Americana. The “green goddess” salad ($10.50) we ordered turned out to be the best of both worlds. It holds butter lettuce, sunflower seeds, watermelon radish, kohlrabi and a dressing that does a highly herbaceous but not entirely convincing impression of green goddess. Beneath all its fresh parsley and chive lay our beloved “buttermilk vinaigrette.” Braising factored strongly in the ricotta gnocchi ($15.50), whose pre-prepared greens – Swiss chard and dinosaur kale – added depth and spikes of salt to a creamy mix that included earthy-tasting and slightly chewy trumpet, beach and oyster mushrooms. The gnocchi was a bit too dense but enjoyable in the context of the cream, greens and mushrooms. We ate the gnocchi outside, though the hefty dish is likely better suited to Milestone’s interior, which is open and airy yet also solid in feel, thanks to its many wood touches, from chairs to wall and ceiling accents. Dedier calls the design, which includes the now-ubiquitous Edison lights, “Napa country porch.” I only see Gold Country. But I’ve seen Gold Country in every establishment on Highway 50 east of Folsom since studying the Gold Rush in fourth grade. The proximity of “milestone” to “historical marker” does little to discourage such conclusions. Plus, Gold Country is more rugged than tweezer-food Napa, and therefore more appropriate to a place that serves a $14 buttermilk fried chicken plate of breast, leg, thigh and a side of potato salad. But then bits of Napa nuance sneak in anyway, in the way Milestone’s kitchen dunks instead of soaks the bird in buttermilk, avoiding an acidic, drying effect and producing meat as juicy as the skin is crisp. The sweet-hot chili dipping sauce we tried and liked when we had the chicken has been phased out in favor of Fresno pepper Sriracha, Dedier said. But it still covers Milestone’s tasty, perfectly cooked chicken wings, served in a stack of eight drumettes, with buttermilk vinaigrette, for $11.50. Two items at Milestone went beyond exceptional comfort food to exceptional, period. The flourless “farmer’s veggie pie” ($12.50) comes covered with a thick crust of smoked gouda and aged cheddar that insulates a filling of eggplant, zucchini, summer squash and San Marzano tomatoes, the flavors alternating among bright, sharp and soothing. The avocado and smoked-salmon toast underwhelms in name. Because that name has “toast” in it. But it’s a hearty, intensely flavored steal at $9.50. A French onion spread softens and flavors Grateful Bread sourdough toast before the salmon, a crème fraîche-tanged avocado spread, oven-dried tomato and pickled red onion are added. Smoke, fat, salt and acidity play into every bite. There were a couple of busts at Milestone, including a Boston cream pie that tasted of refrigerator, and the steak Diane, which came with two dry filet medallions under a sauce that tasted as if a packet was involved. That this $25 dish was both the most lackluster and costliest we ordered poked a hole in our high-value thesis. But only momentarily, before stellar service compensated. Dedier’s fiancée and second partner in Milestone, Alexa Hazelton, also brings a strong hospitality background to the restaurant. The couple’s influence shows in a service staff that skews rather young yet shows ample polish. Our servers were quick to freshen plates and flatware, refill water glasses and otherwise check in. On one visit, the service staff overdid it, coming by our table a few too many times to see if everything was all right. But that might have been placement – we were seated on the path between kitchen and patio. But it would be churlish to judge overly enthusiastic service too harshly. It’s a much better issue to encounter than its opposite number: being ignored. Local telecommunications company O1 Communications is moving its headquarters to El Dorado Hills Town Center. The new, nearly 3,000-square-foot office is on an upper floor of the mixed-use building on Town Center Boulevard, the main street of the development. The company is moving its headquarters from one of the business parks in El Dorado Hills off Latrobe Road. Founded in 1998, O1 is a wholesale network telecommunications carrier, and it also is a retail business telephone provider, which it does through cloud-based services. O1 will now provide free public Wi-Fi throughout the Town Center, and its phone and high-speed internet service is available as an option to any business in the center. “It is a great addition. They have terrific service, and they are local,” said Kevin Nagle, co-owner of the Mansour/Nagle partnership, which owns Town Center. Like Nagle, Brad Jenkins, co-founder of O1, is a member of the ownership of both the Sacramento Kings and the Sacramento Republic. 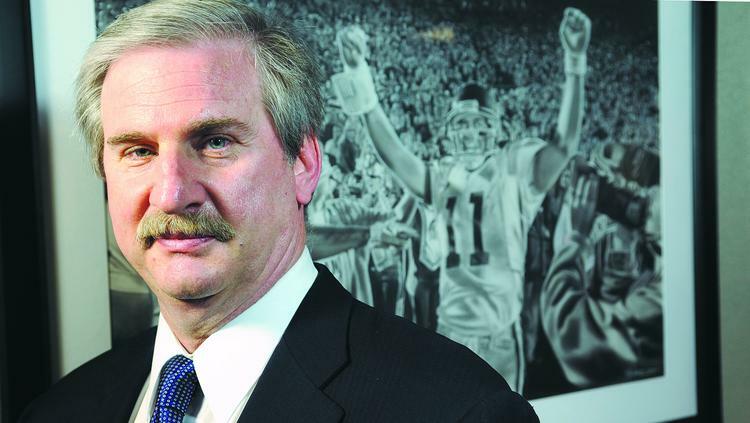 Nagle, a former health care executive, has branched out into real estate, sports, movie production, venture capital investing and private equity investing. Shortly after a business with a similar concept shut its doors, a new blow-dry bar has announced plans to enter the region. Elizabeth Doutherd has selected the El Dorado Hills Town Center as the debut location for her business, Blow Me Away, which will offer hair-styling and makeup services. The 1,345-square-foot shop is expected to open in August near Tan Central. Blow Me Away, a new blow-dry bar, is expected to open in the El Dorado Hills Town Center in August. Customers at blow-dry bars and get their hair washed and styled, but haircuts aren’t offered. 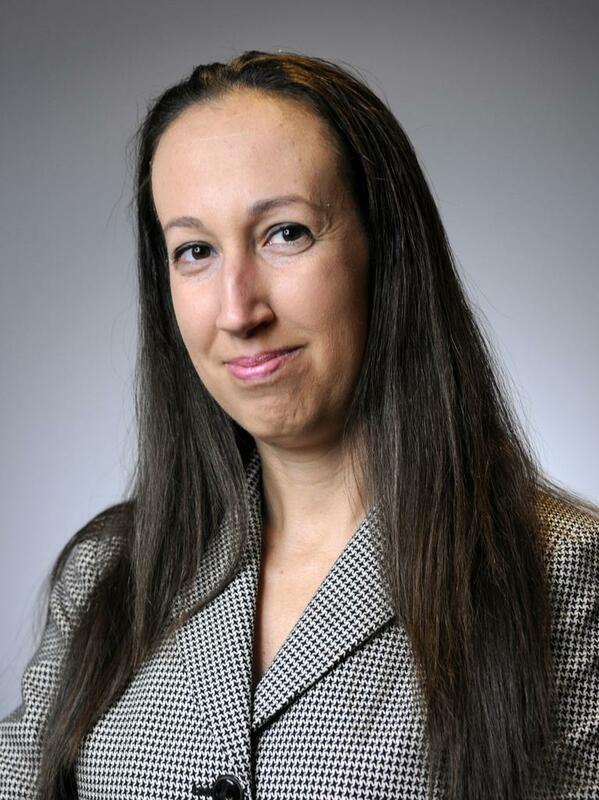 Doutherd grew up in Citrus Heights before moving to the Bay Area, where she’s worked as a property manager. Doutherd will return to the region to operate Blow Me Away, which she hopes will eventually have multiple locations. Hair blowouts will cost $35 at Blow Me Away, while makeup application will cost $30. Doutherd plans to include an area for group parties. As online shopping changes the way traditional brick-and-mortar retailers operate, service-oriented businesses such as blow-dry bars are filling more vacancies in local centers — with mixed results. A separate business, Cherry Blow Dry Bar, permanently closed its Folsom location on Saturday. The store in Folsom’s Palladio at Broadstone was the first and only Sacramento-area location for the Cherry Hill, N.J.-based franchiser. It closed after less than two years of business. It’s an attempt to create the World’s Longest Bucket List and Tina is here to help rally up as many people as possible to sign the long scroll. Jeanette Panzer, left, goes in for an advanced cryotherapy therapy session at NorCal Cryotherapy in El Dorado Hills Town Center. Owner Sharon Thompson discusses the many benefits of the two-minute session with all new clients. Photo by Julie Samrick You don’t need to travel to New York or Los Angeles to experience the whole body cryotherapy treatments making fans out of movie stars and professional athletes. 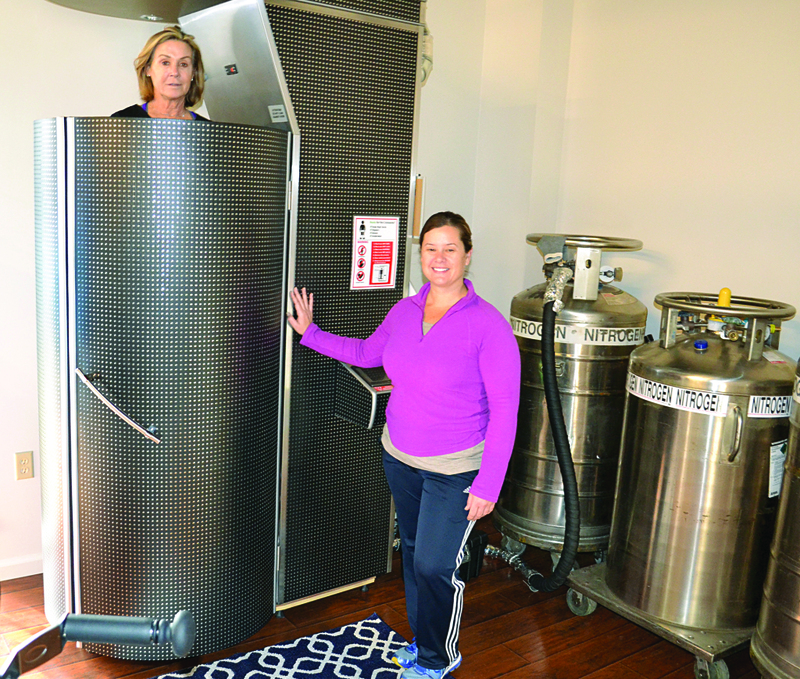 NorCal Cryotherapy in Town Center opened Jan. 4. Owner and El Dorado Hills resident Sharon Thompson raves about the ice therapy treatment that, while just being introduced in America, has been popular in Europe and Asia for decades. During a recent visit she explained how regular cryotherapy treatments could benefit just about anyone. Whole body cryotherapy exposes the largest organ in the body, the skin, to subzero temperatures to activate the central nervous system. At NorCal Cryotherapy clients stand in a chamber that reaches from the neck down for two to three minutes. A machine converts liquid nitrogen into gas, which is pumped into the cryosauna chamber. Skin temperature, but not the core body temperature, drops 30 degrees or more, which causes an endorphin release much like massage or vigorous exercise does. The increased blood circulation also causes a fresh supply of oxygenated, nutrient-rich blood to rush in, decreasing inflammation while also stimulating cellular regeneration. Benefits can be felt for 48 to 72 hours, the minimum amount of time Thompson said most people should wait between treatments. “It depends on what they’re here for,” she said. “If someone is in chronic pain, you’ll want to sandwich several sessions upfront and then go into maintenance. Avid athletes come every three to four days.” Thompson has seen clients as young as 13 years old with parent permission. They are usually year-round, competitive athletes. “It helps with tears and muscle soreness and it’s a really good detox,” she said. Cryosaunas were recently featured on the Dr. Oz show as a natural healer that really works. Sports teams are increasingly turning to cryotherapy in place of the old-fashioned ice bath. “It’s a dry cold, not wet, which makes all the difference,” Thompson said. “Plus an ice bath can take up to 20 minutes.” Personal experience Thompson knows about this firsthand. While 30 weeks pregnant with her third son, Thompson, an avid runner, lost part of her right foot when a jet ski trailer fell on it. She had to give up running but turned to cycling and eventually opened her other business, fit RIDE Studio in the Business Park. When Thompson continued to suffer from foot pain, her surgeon recommended foot ice baths, but Thompson said it was hard to do with kids at home. “There’s got to be something better,” she remembered. “Then my doctor told me about cryotherapy and said that if I ever found a place that offers it, I should try it.” While with her husband Chris on one of his business trips in L.A. Thompson did try it. “Cryotherapy offers a mass release of inflammation,” she said. “There are so many healing qualities. I felt relief I’d never felt before. “I believe in it,” she continued. “I personally need both of my businesses now.” “A two- to three-minute session in a cryosauna serves as a valuable tool for the daily management of a multitude of ailments including chronic pain, inflammation, energy and stress related conditions, with the added boost of a caloric burn (400 to 800 per session) for weight loss, the elimination of toxins to reduce cellulite and the production of collagen,” it states in the company’s literature. “We tailor each session to each person,” Thompson said. “Session time and temperature can be adjusted.” First Thompson takes a client’s blood pressure. Then the client changes into minimal clothing and removes any jewelry — no metal in the chamber. A robe is offered for warmth and privacy until a client stands in the cryosauna. The skin temperature is taken for before/after results. Slippers and mittens are provided during the treatment to protect the body’s extremities. “Any time you want to get out of the cryosauna you can,” Thompson said. “I’m standing here communicating with you the whole time.” During my treatment, Thompson was helpful, assuring and had me move one-quarter turn every 30 seconds, with the last chunk of time focused on a bum shoulder. Before I went in my skin temperature was 93 degrees; after two minutes and 30 seconds, it was 53 degrees. The chamber was a brisk -220 degrees but Thompson is right: dry cold is a lot different than wet. Last, Thompson has clients cycle or handcrank a stationary bike during a three- to four-minute recovery period while she observes. For the rest of that day I felt like I’d had a massage; I slept better than usual that night and the next day the shoulder pain I’d grown used to wasn’t there first thing in the morning. Goals and more info Thompson said this year she’d like to see more people learn about cryotherapy. “I’m hoping to educate people that it really is a wonderful, natural process,” she said. “It affects the whole body.” First time customers pay $25 for a session. Single visits are $40, still far less expensive than in major cities, Thompson said. Paying with a health savings account card is accepted. Located at 4364 Town Center Drive, Suite 108, in El Dorado Hills, NorCal Cryotherapy is open seven days. Walk-ins or appointments available. For more information visit norcal-cryotherapy.com or call (302) 307-CRYO. 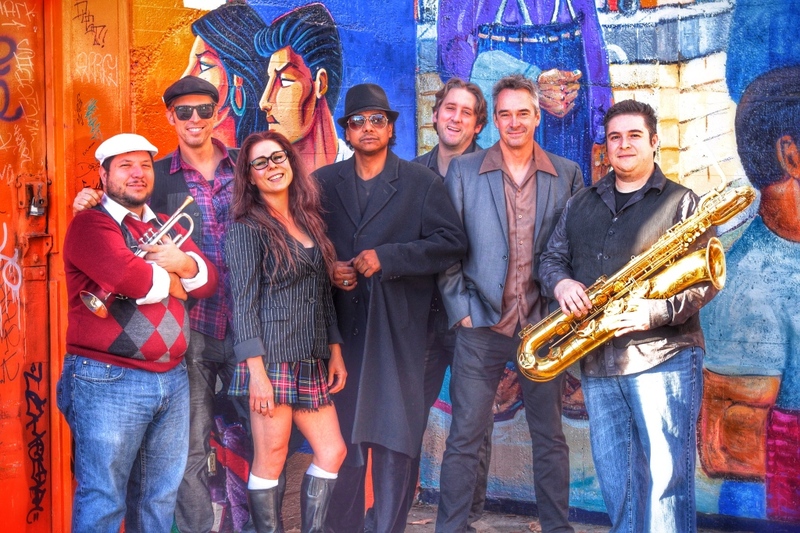 On Saturday, 8-10:30 p.m., Tower of Power will rock El Dorado Hills Town Center Steven Young Amphitheater! Doors open at 7 p.m. Tickets are $35 and are available at Ticketmaster.com or at Bistro 33 and seating is general admission. No chairs, blankets, outside food or beverages permitted. Must be 21 or older. Benefiting Zafia’s Family House, .zafiasfamilyhouse.org. For more information, visit edhtowncenter.com. 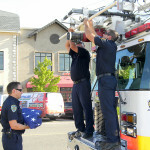 Post information and picture courtesy of El Dorado Hills Town Center. Placerville will say “ciao” to Zia’s on Dec. 31 as owner Shari Coia Fulton makes a move that will allow her to expand into wholesale distribution of her artisanal gelatos. Coia Fulton, who owns the business with her husband, Tom Fulton, will reopen her shop a few miles down the hill at El Dorado Hills Town Center somewhere between Jan. 7 and Jan. 10. She said she chose the location because it has the small-town feel that she so loved in Placerville. “We were able to rebuild the kitchen to our specifications,” Coia Fulton said, “and that will allow us to wholesale our gelato. … That would give us the ability to sell to other restaurants or other coffee shops or package it to sell to other retailers. In our current location, we can’t.” At Zia’s, Coia Fulton and her staff make waffle cones and virtually everything else from scratch. Her persimmon gelato gets its fruit from Five Strings Farms in Placerville, her mandarin orange fruit comes from Graham’s Pear Shed on Cold Springs Road and her pistachios come fromFiddyment Farms in Lincoln. Coia Fulton and her husband lived for several years in Italy, the land of espressos and cappuccinos, and they also serve coffee. “We honestly take equal pride in our coffee drinks as we do in gelato,” Coia Fulton told me. “Our coffee is done by a roaster in Seattle called Caffe D’arte, and they’ve been up there 30 years. The owner is Italian. … All their beans are roasted very much in the traditional Italian style, and we do everything manually. Our baristas go through a lot of training. … We have a lot of Italians who come through here on vacation, and we’ve literally had people start crying or start kissing us because it’s a legitimate espresso.” Coia Fulton’s grandparents immigrated to the United States from Italy, and she grew up in Ravenna, Ohio, a town named after the city and province in Italy. The word ‘zia’ means “aunt” in Italian, and it’s how she addresses her aunts and how her nieces now address her. Until year-end, Zia’s will be open at 312 Main St., No. 101, in historic downtown Placerville. Santa makes his way down the isle greeting hundreds of excited kids. Radio Disney’s Rockin’ Road Show entertained the crowd in El Dorado Hills Town Center on November 30th before Santa and Mrs. Claus’s arrival at 6:30 and the tree lighting a short time thereafter. The first 125 kids to arrive at the event received a stocking each and filled them up with gifts from participating stores. 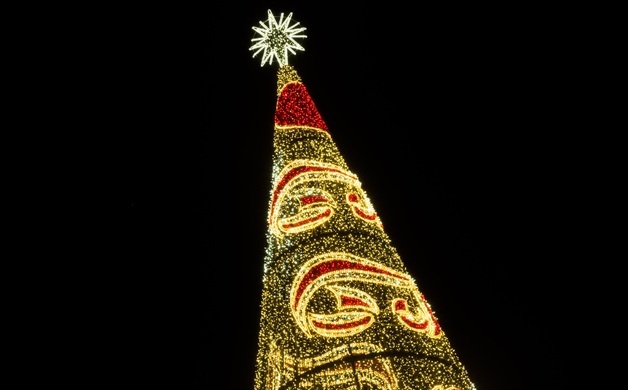 This was El Dorado Hills’s 49th tree lighting. An alum of the Thomas Keller Group and one of Sacramento’s longtime chefs have joined forces for an upcoming Japanese restaurant. Aji Japanese Bistro is set to open in the first week of December in El Dorado Hills’ Town Center, which is also the home to Selland’s Market Cafe and Bistro 33. Co-owner Nick Dedier is the former general manager of Ad Hoc in Yountville, the family-styled restaurant overseen by Keller which features one prix fixe menu per night. Dedier is also a former Elk Grove resident, who previously served as a maitre d’ at Las Vegas’ Daniel Boulud Brasserie and manager at Restaurant Gary Danko in San Francisco, among other stints. But Dedier received his first restaurant server work at Sumo Sushi in Elk Grove by chef/owner Russell Okubo, who is now partnering with Dedier on Aji Japanese Bistro. Okubo also served previously as chef at The Firehouse and Fat’s Family Restaurants, along with opening a string of eateries around the Sacramento area. Aji Japanese Bistro will focus on a variety of Japanese foods and beyond, including sashimi, ramen, katsu chicken sandwiches, Asian-styled sliders and more. 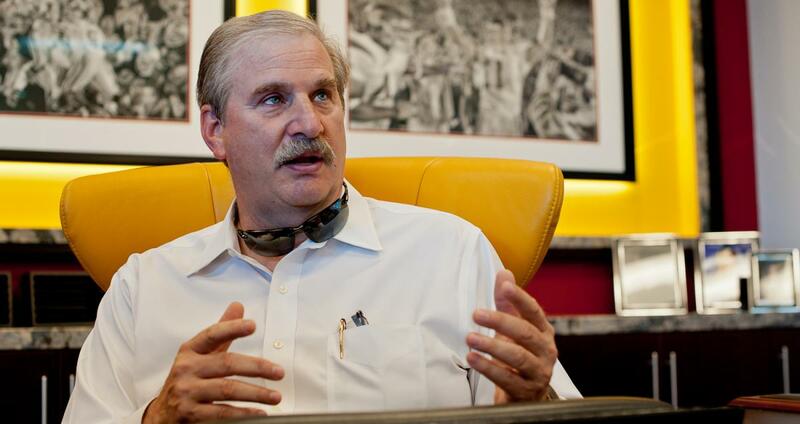 “We’re not building a Japanese or sushi restaurant,” said Dedier. “It’s a fun bistro that serves Japanese food.” But what diners won’t find are umpteem varieties of saucy sushi rolls, which seem to define much of the “Japanese” eating experience around Sacramento. Prepare instead for more of a streamlined approach to its sushi offerings. “Every Japanese restaurant in the area has a four-page sushi menu with the same eight ingredients combined in different ways, and then baked or broiled,” said Dedier. “I took a page from my previous employer and kept it simple: 12 classic rolls and six designer rolls, each with different ingredients. There will be no sauces on top of the roll. We’re not going to drown everything in garlic-miso, Sriracha and mayo.” The exact opening date of Aji has yet to be determined, so we’ll keep you posted on that. 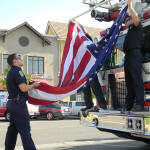 A large American flag flapped in the breeze as it hung some 50 feet in the air above the El Dorado Hills Town Center courtyard, a presentation set up by El Dorado Hills Fire Department staff to honor 9/11 victims on the attack’s 12th anniversary. 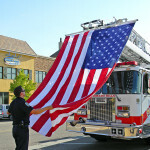 Every year since the terrorist attacks in New York City and Washington, D.C., as well as the Pennsylvania plane crash, that killed 2,977 people the department has done something to commemorate the event and honor its heroes; 343 of the victims were firefighter/paramedics and 60 were law enforcement officers. Last Wednesday’s event, paired with an El Dorado Hills Chamber of Commerce mixer hosted by Tony Mansour and Kevin Nagle, also included a performance by the El Dorado Hills Firefighter Pipe and Drum band and live music. Broadcasting on location from the Town Center in El Dorado Hills, Grant opened the show by talking about the Los Angeles Dodgers’ Yasiel Puig not being voted into the MLB All Star Game, the hiring of Chris Granger as the new team president of the Sacramento Kings, whether or not Monta Ellis will sign with the Kings. He also gave his opinion on that the Oakland A’s are among the best teams in baseball. Rob Mahoney from Sports Illustrated joined Grant to talk about the NBA offseason. Mahoney talked about the Brooklyn Nets signing of Andrei Kirilenko, his list of the top free agents still left on the market and the latest on unrestricted free agent guard Monta Ellis. Mahoney also gave his thoughts on the future of both the Los Angeles Lakers and his outlook for the Golden State Warriors next season. The newest member of the KHTK Sports 1140 team, morning show co-host Keith Brooks joined Grant to talk about the excitement with the Sacramento Kings coming up this season and working with Carmichael Dave. New Sacramento Kings team president Chris Granger came on with Grant to talk about his decision to leave the NBA league office to come to Sacramento. Granger talked about his plan for the Kings and the community, his belief in Vivek Ranadive and the new ownership group, Mayor Kevin Johnson and Kings fans and what he learned in the league office from outgoing commissioner David Stern and the incoming commissioner Adam Silver. Granger also gave his insight on the globalization of both the NBA and the Kings. and minority owner of the Sacramento Kings, joined Grant talked about the event that he is hosting at Reunion nightclub. Nagle discussed Kings ticket sales and his impression that the team will break the NBA’s all time record for season ticket sales. Sacramento Mayor Kevin Johnson joined Grant to talk about the future of the Kings. Johnson discussed his excitement about the hiring of Chris Granger as team president, the Kings ticket sales and his hope that the home games will be all sold out by the time the 2013-2014 season starts. 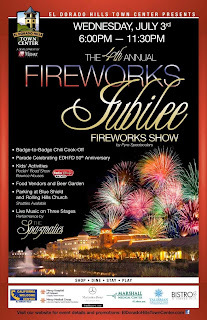 El Dorado Hills Town Center 4th Annual Fireworks Jubilee Tonight! 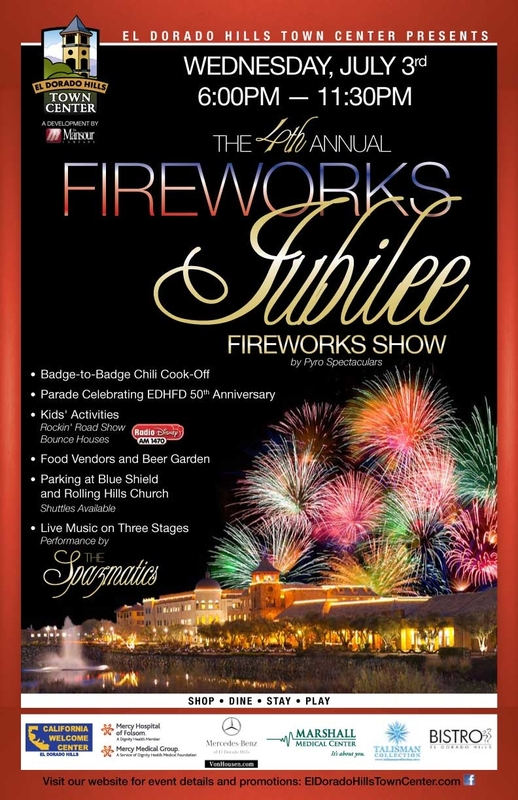 Get ready for the 4th Annual Fireworks Jubilee at El Dorado Hills Town Center, and be dazzled with the best fireworks show in the region! Tonight guests of all ages can ring in Independence Day with entertainment including three live bands; Hired Guns on the Boulevard and Island of the Black & White in Theater Plaza at 6:30 p.m and the awesome energy of The Spazmatics in the Steven Young Amphitheater at 8 p.m. Come vote for your favorite chili at the 4th Annual Badge to Badge chili cook-off and entertain the kids in the kid’s activity area complete with bounce houses, Radio Disney’s Rockin’ Road Show and Monterey Bay Aquarium’s “Fintastic Voyager” Mobile Unit. There will be food vendors up and down the Boulevard and all Town Center stores and restaurants are open for business. The evening will conclude with a spectacular Fireworks display choreographed to music, right in the heart of Town Center. 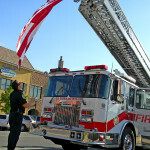 Beginning at 6 p.m. and new this year will be a Community Parade down the middle of Town Center Boulevard, organized by the El Dorado Hills Fire Department who is celebrating their 50th year of service in El Dorado Hills. Several non-profits will be on site such as, Hands 4 Hope, M.O.R.E., Rotary and Boy Scouts of America. Parking will be available at Blue Shield, located at 4203 Town Center Boulevard, and Rolling Hills Christian Church, located at 800 White Rock Road. For more information, please visit eldoradohillstowncenter.com. For more information, please visit eldoradohillstowncenter.com. Covered by: El Dorado County Business Guide February 2013 Mansour was a former electronics retailer with a couple small development projects to his credit when those instincts kicked in on a July day in 1979, screaming at him to snap up a “town for sale,” in otherwise rural El Dorado County. The resulting decision created the El Dorado Hills we know today. At the time, El Dorado Hills was another visionary developer’s dream gone bust, an 11,000- acre master-planned community of discreet village launched by Alan Lindsey in the early 1960s. When Mansour arrived it was in the hands of Lindsey’s creditors at the John Hancock Insurance Company, who found themselves in the real estate business during the recessionary 1970s, and must surely have been motivated sellers. They were disposing of Lindsey’s parcels piecemeal through a local real estate agent. Two hours after walking in the door, Mansour put a$50,000 check into the shocked agent’s hands, a deposit on the balance of Lindsey’s former holdings, an estimated 8,000 acres of what would later become Serrano, Blackstone, Town Center and a dozen or so out-parcels, some of the most valuable land in Northern California. Mansour tried to explain the impulsive decision recently. “I just fell in love with it … I had no idea what to do with it … All I knew was I wanted it. ”It took a full 20 months to find suitable partners, arrange financing and close the deal. At the time El Dorado Hills consisted of the original Lindsey villages: Park, Governors, St. Andrews and Crown, with the new and luxurious Ridgeview Village a work in progress in an otherwise flat housing market. El Dorado Hills’ 1,000th residence wouldn’t come until the early 1980s, when another visionary local developer, Mike Winn, master planned Stonegate Village, according to former Raley’s store manager Dennis Ferguson. 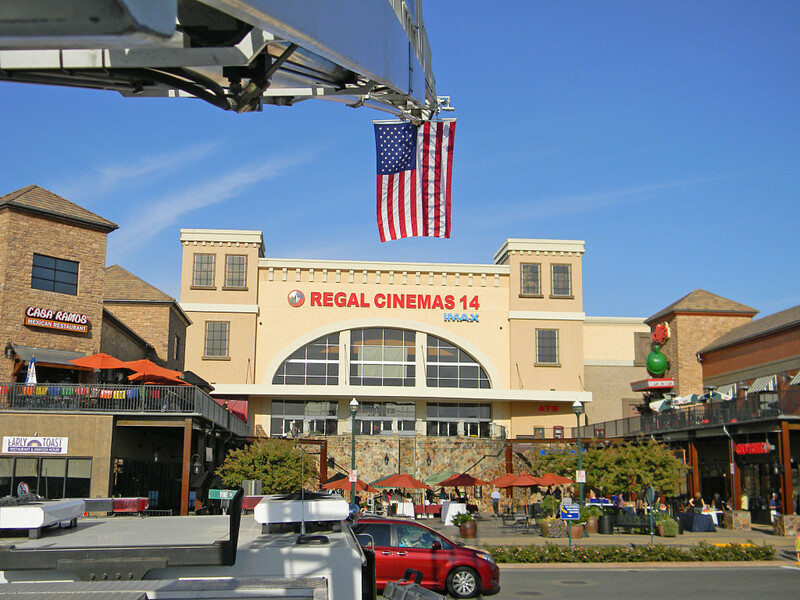 Commercial activity at the time consisted of Raley’s, a video store and Del Haven’s 76 Station. Mansour’s new holdings were so disbursed that he didn’t discover the dramatic terrain and views that would become Serrano until a 1984 helicopter tour. He saw the possibility of a luxury housing project anchored by a golf course and country club, and later brought in the prestigious Urban Land Institute to validate his hunch. His specific plan for Serrano was approved by the county in 1988. Mansour immediately sold the 3,500-acre Serrano site to yet more El Dorado Hills visionaries, Bill Parker of Parker Development, David Lucchetti of Pacific Coast Building Products and Lou Riggs of Teichert Engineering. Their project, Serrano, attracted affluent residents from overcrowded coastal cities and changed the face of El Dorado Hills forever. Mansour turned his attention to Town Center, and his conceptual plan, which called for a regional mall of some sort, but large malls were already fading in popularity, and Folsom was rapidly becoming a big box shopping destination. He’d seen tasteful lifestyle centers in his travels, and aspired to create something similar in El Dorado Hills. His largest challenge was a seasonal tributary of Carson Creek that bisected Town Center, hamstringing his plans with environmental constraints. While he was weighing his options, Walmart expanded into California and in 1994 he found a top-dollar offer for 15-acres on his desk. “I had to decide if I wanted to split up Town Center, sell it off and leave, or stick it out long haul and make it what we wanted it to be,” he recalled. His son Louis was at his side and full of ideas for the lifestyle center. The father couldn’t turn down a chance to work with his son. He sent Walmart packing — they went to Placerville — and turned his attention back to Town Center, returning to the county with a revised Town Center plan in 1995.To get there, Louis worked closely with state and local agencies, earning permission to move the tributary 500 feet north and east. The move cleared the way for a main street and made the large parcel which now hosts Nugget Market possible. It also created the popular water feature and wildlife sanctuary. The new plan included a mix of commercial uses: financial, hotel, dining and destination entertainment, including a movie theater at the eastern terminus of the main drag. Town Center opened for business in 1997 with Chevron and Texaco gas stations, the Post Office, and McDonalds. The following year Louis Mansour began the main street’s detail design work. He mixed architectural styles and rooflines in a mash-up of European influences that mimicked the way small towns evolve. He found 120-year old olive trees to create the sense that an orchard might have predated the retail center. Indigenous rock faces the bridge across the lake and forms the banks. Tony Mansour brought in Doug Weile as leasing agent, with the goal of filling the main street with owner-operated small businesses. Larger commercial enterprises, including a Mercedes dealer at one end and Target at the other, would share parking and support the core. He recalls the entitlement process was long, contentious and expensive. County officials mistrusted his plans and instincts, insisting on a four-lane main street, which the Mansours insisted would destroy the ambiance of their main street. “We fought so hard for the narrow streets,” recalled Tony Mansour, who stuck to his guns and was eventually allowed his two-lane main street and the requisite on-street parking. As an owner-builders, they were able to pace their build out to the market and be selective about their tenants. The result is a walkable mixed-use center that’s become a target destination for shopping, dining and entertainment in the region, and a true hometown center for the residents of El Dorado Hills, who praise its charm and flock to it by the thousands for special events. “We never dreamed El Dorado Hills would support 20 restaurants, but here they are,” said Tony Mansour, with more than a hint of pride. Partners have come and gone over the years, the most recent and formidable being Kevin Nagle, the CEO and President of Envision Pharmaceuticals who Mansour credits with saving Town Center from foreign investors in 2011. “Kevin brings the corporate and financial strength to see my vision through,” said Mansour. Assemblywoman Beth Gaines (R-Rocklin) attended the Mansour Company Christmas party and presented Tony Mansour an Assembly Proclamation recognizing his contributions to El Dorado Hills and El Dorado County. The Town Center magnate was gracious, a man at peace with his life’s work, comfortable with his legacy and confident in Town Center’s future, with or without him at the helm.